Happy Friday, lovelies! What are you all doing this weekend? Eric and I are going to a fancy holiday party for my school and doing some intense holiday shopping. I hope whatever you do, you do it warmly and it includes a lot of laughter! Before you settle in (or out) for the weekend, remember there's two days left to enter the Vintage Watch Parts Necklace giveaway...and on Monday, we have a giveaway from one of my personal faaaaavorite Etsy shops, Jackdaw & Pilate. Also, how adorable is that "Be Merry" sign?! Don't you wish you could have one of your own? Well, you can, easily! That whole scene is made from a printable party collection that's under $10 to buy and you can print out everything as many times as you want. Love it! 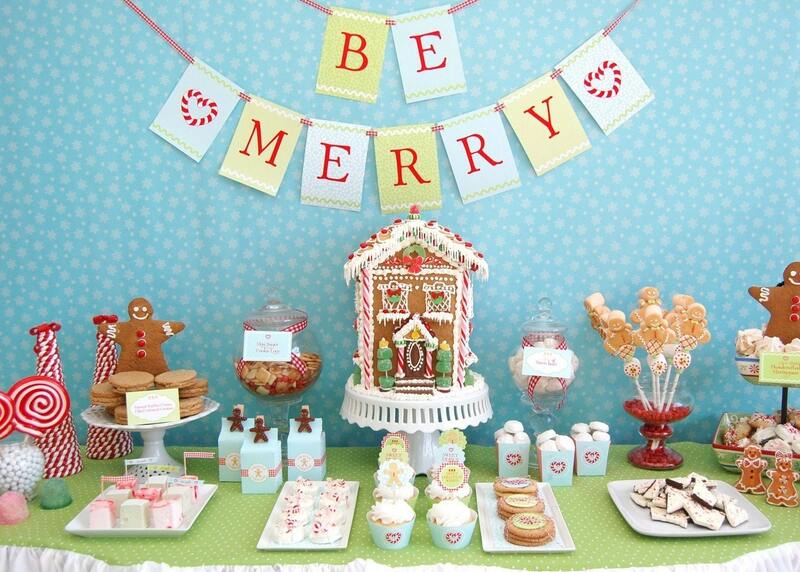 Nice stuff for Christmas decor and also the ginger bread man really look so cute.